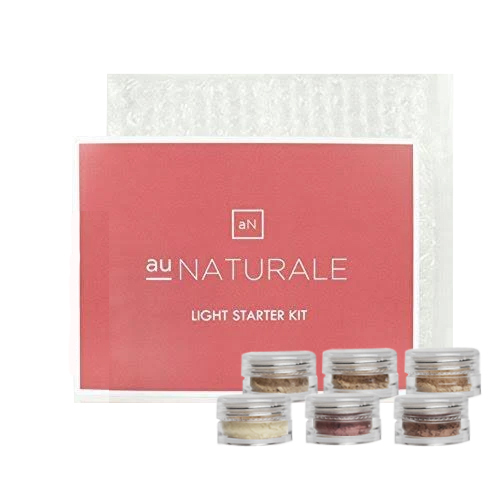 A light fresh face starter kit that highlights the skin's natural beauty. Intended to help you begin your personal clean beauty revolution, our starter kits are carefully curated to highlight your skin's natural beauty. Each comes with a range of three Semi-Matte Powder Foundations, allowing you to accurately select your perfect match. Kits also include one of our favorite Pure Powder Blush & a Pure Powder Bronzer, both hand-picked to complement your skin tone. And what's a starer kit without a Pore Minimizing Finishing Powder to set your new look into place?! Please see individual products for the instructions.